Shark Week. It’s become not just a must watch of Discovery Channel for the past 24 years (yes, 24 years of Shark Week! ), but also spawned themed sewing posts around the blogsphere. At the end of Shark Week, we tweeted an entire day of shark-related sewing patterns, tutorials and inspiration with the Twitter hastag #sharksewing. Did you see it? Did you follow us? Well, if you missed one or two or even a few, here’s a recap of the tweeted links. Super easy shark fleece scarf. 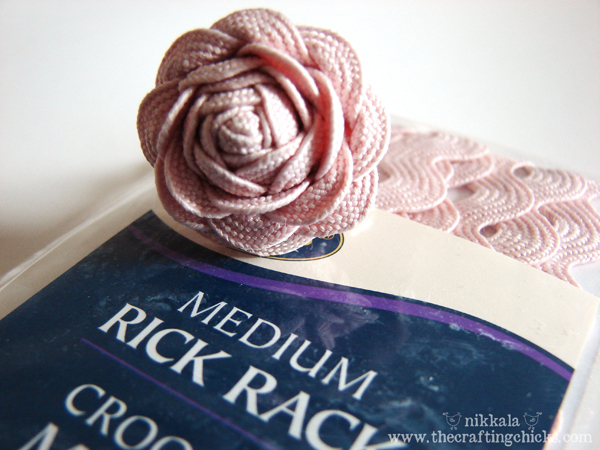 A no-sew project, if you use fabric glue. Super easy and cute baby shark hoodie from @seekatesew. Probably a 1-hour project. You only need a grey hoodie and white felt. This isn’t a pattern or a tute, but it might give someone an idea for Halloween. Dress your dog as a shark! One for the knitters, @HalosofHope has a shark hat pattern available for limited time. Make one for you and one to donate. Note: Sorry, but the limited time for this pattern has expired. However, Ravelry.com has a similar shark pattern available…and it’s free! Watch for another day of tweets with a theme. Who knows what the next topic will be. 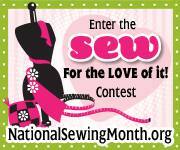 If you have a topic that you’d like to see, tweet me at @SewChicago or email me. Also be sure to check out other shark fabric at Spoonflower.com. Or will you design your own for next year’s Shark Week? Last year, some of the Sew Chicago NG members took a class about heirloom sewing Eveyln Cummings, co-leader for the Joliet Desperate Stitchers NG. That’s where many, including me, discovered the wonders of the twin needle. How lovely are the rows of bumpy rows. Where do you go from there? And are pintucks only for heirloom sewing. Colette Patterns shows how to add cording to the pintucking to create some added dimension. Sewn in a zig zag or lazy curves and it has a completely different feeling than heirloom sewing. Colette Patterns has a tute (tutorial) that is so much better to read for yourself than I can reduce here. She uses thick embroidery thread wound on the bobbin to give the pintuck an extra dimension and applies it to a pretty tap pant. It’s a nice extra embellishment. 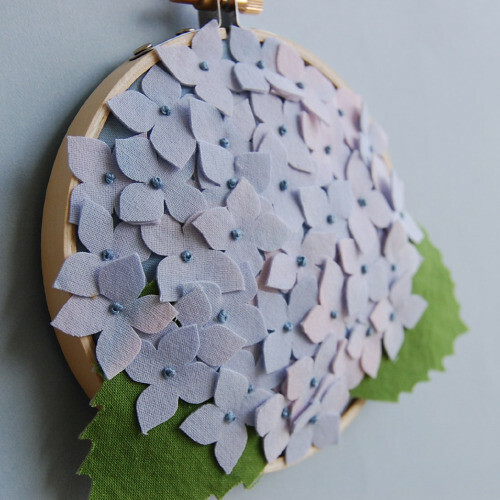 Definitely something to try for a next garment, quilt or even a handbag. Wouldn’t this be just delish on a yummy soft leather? Or fun in rows on a grey flannel pillow? Maybe follow a couple rows of pinstripes on a wool suiting for a bit of nubby texture. Nancy S. from Sew Chicago and I also played with a wide twin needle on fleece at this year’s Original Sewing & Quilt. The effect had almost a tarpunto feeling. Here’s a cute idea: use a thick corded pintuck and make a corrugated cup holder. Keeps the hot coffee at bay while giving your fingers something to grip onto. This would probably be good for little people’s fingers to learn texture or to hold onto. Does your cat like texture? Maybe sew up a bunch of cat toys with this texture to distract kitty from scratching up your favorite chair. Here’s a link to the tuteon Craftstylish. Get out and play with your (twin needle) feet! As always, please send us pictures or post to the ASG Chicago chapter Flickr album to share with everyone. 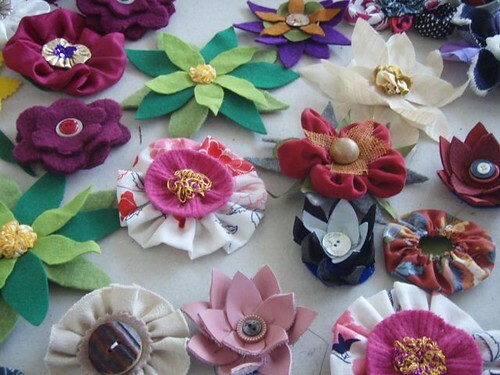 We love to see what you’re making! I can’t believe that I almost let this get away. But here’s a quick round-up of some fun Star Wars-inspired sewing. How could I have gone for so long without a Millennium Falcon Neck Rest? Follow this tute and cover your buckwheat neck pillow to look like Han Solo’s ummm…trusty craft and you won’t get whiplash when you hit hyperdrive. 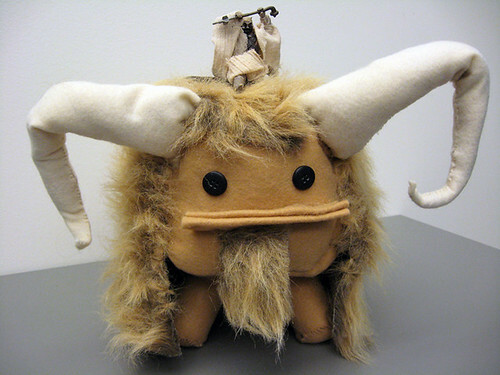 Again from StarWars.com, make your own cuddly Bantha to roam Tatooine. Starwars.com has several sewing crafts of character puppets that you can make for or with young sewists, including a space slug draft dodger and a Chewbacca sock puppet. 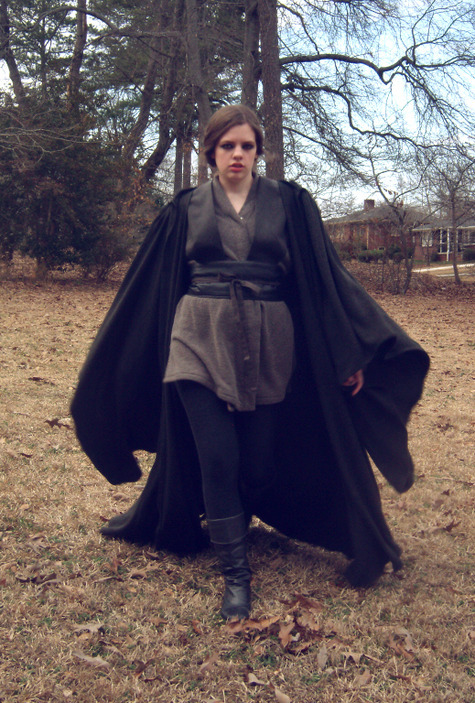 Applause to this BurdaStyle sewist for modifying and drafting her pattern for a Jedi cloak and costume. 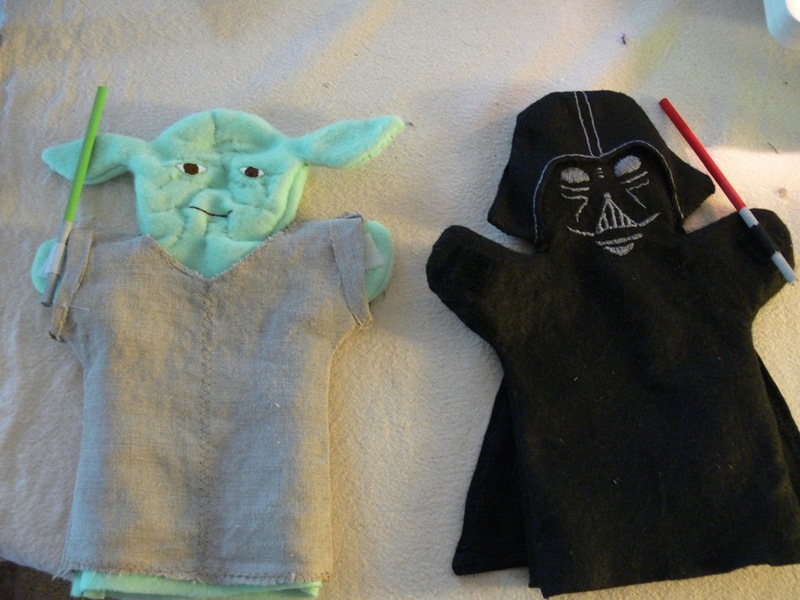 Make your own Yoda and Darth Vader puppets for the ultimate battle of good vs. evil. If terrycloth were they made of, very useful would they be, hmmm? [EDITED] I couldn’t resist one more. For the quilters out there. 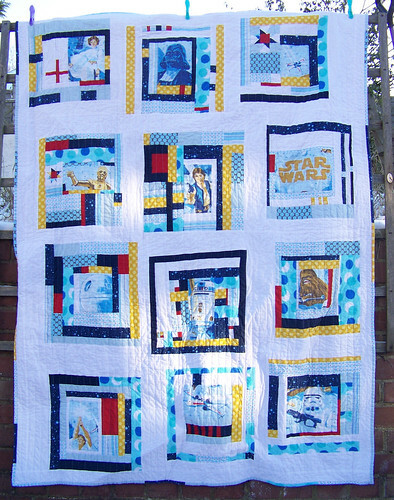 A Star Wars quilt. This just touched my heart and I had to share it with you, dear readers. ..,offer to turn their much-loved (falling apart) cuddly toy into a superhero. Read the rest of Tigger and Auntie Kristy’s tale on The Leopard Anchor’s blog. The next time you’re feeling a bit low on your sewing accomplishments, how about making something for a little someone special in your life?